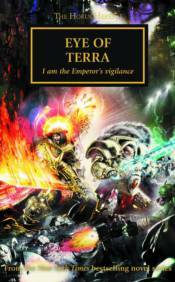 An anthology of Horus Heresy tales written by some of Black Library's bestselling authors. Once, the title of Warmaster stood for honor, loyalty, and a fierce pride in the strength of the Space Marine Legions. But perhaps by following the myriad lines of destiny and defiance that were already woven around the primarchs and their sons, we may yet come to understand the bitterness that can eat away at even the most steadfast of souls� This Horus Heresy anthology contains fifteen short stories by authors such as Graham McNeill, Nick Kyme, Gav Thorpe, and many more. It also includes Aaron Dembski-Bowden's acclaimed novella Aurelian.